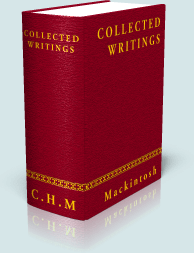 The Writings of Charles H. Mackintosh includes 97 essays and articles from "C.H.M." (as he signed most of his writings). The SwordSearcher Mackintosh module is comprised of C.H.M. 's writings originally published in Miscellaneous Writings, seven volumes, and Occasional Papers. Mackintosh wrote on many topics, with his strong emphasis on evangelization and genuine Christian repentance clear throughout. Each Member - A Help or a Hindrance: Which? As with all library material in SwordSearcher, The Writings of C. H. Mackintosh can be instantly searched and is also accessible by Bible reference.